Ms. Garcia-Culler is a graduate of the University of Virginia and has nearly 20 years of local, state, and national nonprofit management experience. She is responsible for the Society’s human resources, finance, information technology, development, and administrative operations. Prior to joining GHS in 2003, she was deputy director of the Savannah Music Festival, deputy director for operations of the National Immigration Forum on Capitol Hill, an English professor in Valencia, Spain, and a consultant for a Washington, DC-based firm to the U.S. Department of Defense. Stan Deaton is the Senior Historian and the Dr. Elaine B. Andrews Distinguished Historian at the Georgia Historical Society, where he has worked since 1998. He holds a Ph.D. in history from the University of Florida, a Masters in history from the University of Georgia, and Bachelors degree in journalism from the Grady School at UGA. 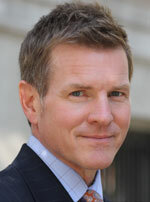 He is the Emmy-winning writer and host of Today in Georgia History, jointly produced for TV and radio by GHS and Georgia Public Broadcasting. At the Georgia Historical Society Stan is a public speaker, writer, teacher, and lecturer. He serves as managing editor for the Georgia Historical Quarterly; works closely with the President and Director of the Research Center to secure manuscript materials for GHS like the Vince Dooley Papers; leads teacher training workshops; writes historical markers; conducts oral history interviews; helps write grants; assists with fund raising; and writes newspaper editorials and a blog, Off the Deaton Path. Dr. McNair is an associate professor of history and chair of the history department at Kenyon College. He received his bachelor’s degree in criminal justice from Savannah State University in 1988. He received a master’s degree in history from Georgia College & State University in 1996, and he went on to earn a Ph.D. in American history at Emory University in 2001. He has published in scholarly journals on various aspects of the African-American experience, with a particular emphasis on slavery, and is author of Criminal Injustice: Slaves and Free Blacks in Georgia’s Criminal Justice System. His current research focuses on black political culture since the Civil Rights era. In addition to publishing in scholarly periodicals, his research on slaves, criminal justice, race, and politics has appeared in local and national newspapers, and he comments regular in the print and online media on contemporary racial issues. Before becoming an academic, Dr. McNair was a police officer in Savannah, Ga., his hometown, and a special agent with the U.S. Treasury Department, where he served on the Secret Service protective detail of President Bill Clinton. Ms. Crisp is responsible for management of the Society’s Historical Marker and Affiliate Chapter programs, as well as educational and outreach programs for adults, school children, and teachers. She holds an undergraduate degree in International Relations from Samford University in Birmingham, Alabama, and an M.A. in History from James Madison University in Harrisonburg, Va. She is a 2014 graduate of the Developing History Leaders @SHA seminar, a national leadership training program for public history professionals. Ms. Boone coordinates membership services and assists with GHS educational and public programs. She holds a Bachelor of Arts in History and a Masters in History with a Certificate in Public History from Georgia Southern University (GSU). During her graduate program, she held assistantships through the GSU Department of History as Collection Manager for the Averitt Foundation and the GSU Center for Art and Theatre. She also interned with the Georgia Southern Museum as the Graduate Student Curator and Project Manager for The Great War that Changed the World, 1914-1918, exhibition. Ms. Butler coordinates the Georgia Historical Marker Program. 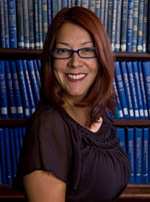 She holds a bachelor of arts in Anthropology from Georgia State University, and a masters in History with a graduate certificate in Museum Studies from the University of Missouri- St. Louis. During her graduate program she held a two year assistantship with Cahokia Mounds State Historic Site as Assistant to the Curator. Ms. Landers is responsible for the Society’s educational programs and educational outreach for students and teachers. She holds a Bachelor of Arts degree in History and Political Science from Auburn University and a Masters of Arts in Education from the University of Alabama at Birmingham, specializing in Secondary Social Sciences. Prior to joining the GHS team, Ms. Landers taught high school history for 8 years. She comes to us from Orlando, Florida where she taught in the Orange County Public School system, teaching courses in World History. She spent the early part of her career teaching American History with Calhoun County Schools in her home state of Alabama. Ms. Wrozek is primarily responsible for supporting the Georgia Historical Marker Program, but also assists in communications and media. She holds a Bachelor of Arts degree in History from University of Arizona South. During her undergraduate program, she interned for the Sierra Vista Historical Society at the Henry F. Hauser museum, which included work in outreach, educational programming, social media administration, and archives. Before joining GHS, she worked as a researcher for a southwest history radio program. Mrs. Meagher is responsible for the Georgia Historical Society’s communications and media affairs. A graduate of The University of Southern Mississippi in broadcast journalism, she brings over twenty years’ experience in political and nonprofit communications to the Society. She is a former, top-level legislative and communications director for a leading, Washington, D.C. based political advocacy organization, national field director for a national association of physicians and served two members of Congress as legislative policy adviser and director of communications. She has also served as a consultant for congressional races and grass roots campaigns. In 2000, Mrs. Meagher was part of an exclusive delegation to the Republic of China on Taiwan for the Presidential Inauguration of Chen Shui-Bian. She is a professional speaker, media trainer and writer with numerous appearances on many national television news shows. Mr. Crellin is the Web and Visual Communications Specialist at GHS. His responsibilities include maintaining the GHS website and designing publicity and materials for programs and events. Mr. Crellin joins GHS with nearly 10 years of graphic and web design experience working as a graphic designer and project manager for a web design firm in Massachusetts. Ms. Brattina is currently the Administrative Assistant to the Sr. Vice President and Chief Operating Officer as well as the Associative Director of Administration. With over 18 years of experience, previous Executive Assistant positions held included: Dimension Data, Hewlett-Packard, BAE Systems and Lockheed Martin – all located within the Northern Virginia area. Ms. Brattina holds a BS in Business Administration from the University of Maryland University College located in Adelphi, MD and has studied Art History and Museum Studies at Virginia Commonwealth University in Richmond, VA.
Mary “Beth” Robinson is responsible for the human resources, administrative and facilities-related functions of the organization. She is a graduate of the College of Charleston with a Bachelor’s degree in Political Science and a Master’s degree in Public Administration. She has over 25 years of public sector experience primarily in the field of Human Resources. She previously served as the Human Resources Director for the City of Savannah, GA. She holds the designation of Certified Professional by the International Public Management Association for HR. Ms. Robinson’s volunteer experience includes current and previous involvement on local nonprofit boards including Hospice Savannah Personnel Committee, Vestry of St. Paul’s Episcopal Church, Savannah Children’s Choir, American Red Cross, and American Diabetes Association. Caroline Stevens Rhodes is the Development Officer for the Georgia Historical Society. Prior to joining GHS, Caroline worked for Coxe Curry & Associates in Atlanta, assisting on capital campaigns, feasibility studies, and annual fund campaigns for clients including Grady Health System, Glisson Camp & Retreat Center, Hillside, and A.G. Rhodes Health & Rehab. Caroline holds a bachelor’s degree in advertising and sociology from the University of Georgia and a master’s in fundraising and philanthropy from New York University. Ms. Zoellner is the Controller at GHS. She holds a bachelor’s in accounting from the University of Florida and a MBA from Georgia Southern University. Ms. Zoellner has over 15 years of both public and private accounting experience and prior to joining GHS worked for Chatham Steel Corporation and for the University of Florida’s School of Architecture.